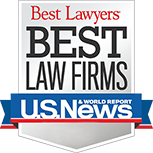 Personal Injury Lawyer in Savannah | Vaught Law Firm, P.C. At the Vaught Law Firm, P.C., we only do one thing: protect the interests of innocently injured victims throughout Savannah and the entire state of Georgia. As a full-service personal injury law firm with over two decades of experience working in the field of personal injury and litigation, we successfully and comprehensively represent our clients. We understand that clients come to our firm during an incredibly difficult time in their lives. Our primary mission is to make certain that our clients remember their experience with our legal team - and for all the right reasons. This time may feel uncertain or stressful, but with our Savannah personal injury attorneys at your side, you can feel confident that peace of mind is a hand's reach away. $6 million paid to brain damaged Hunter Army Airfield soldier injured in rollover crash. $3 million awarded to brain-damaged house wife from Pooler, GA after head on collision with large truck. Policy limit settlement for Bryan County family of 25-year-old man killed on his motorcycle by hit and run driver. $2.3 million settlement for family of Effingham County woman killed by distracted tractor trailer driver. $2.1 million awarded to family of young Chatham County mother killed by tractor-trailer. $1.5 million paid to Effingham County family when young father died after doctor failed to diagnose deadly medical condition. $830,000 verdict for Savannah man wrongfully arrested and maliciously prosecuted by local health clinic. Unlike other law firms that may work for dollars and cents, we work according to a different set of values and principles. In our 20+ years of practice, we have never forgotten the very real, and very human element of an accident. Too often, the emotional aspects of a serious accident go unacknowledged, causing clients to feel mistreated or underappreciated. We purposely practice a hands-on approach to representation. To learn more about how your claim can benefit from our strategic and proactive approach to client service, we are here to listen. If you, your child, or someone you love has been the victim of a personal injury accident, you will need to be represented by a skilled Savannah personal injury lawyer. Only a qualified legal professional will have the skills and resources necessary to help you obtain the justice and full amount of financial compensation that you deserve after an accident. If you have prematurely lost a loved one in an accident due to someone else's reckless or careless behavior, we can also be trusted to represent surviving families in the midst of grief and bereavement. DO YOU WANT TO WORK WITH A CARING, WINNING LEGAL TEAM? Who should you turn to for assistance after a serious accident in Savannah or anywhere else in the state of Georgia? The Vaught Law Firm, P.C. has been the preferred choice for high-quality, compassionate, and caring legal counsel for years—and for good reason.  Named as one of the Top 100 Trial Lawyers and the Top 40 Under 40 by the National Trial Lawyers Association, Attorney Vaught offers the perfect reflection of the professional and ethical values under which our entire firm operates. We are ready to put our professional abilities to work for you. We know that our legal team is suited for the job and can help you every step of the way. We are so confident in our abilities that we work on a contingency fee basis, meaning our clients will not pay for legal services until AFTER we secure a favorable settlement. Call our Georgia personal injury lawyers today to request a case evaluation. Your consultation is always free, confidential, and without any no-obligation.